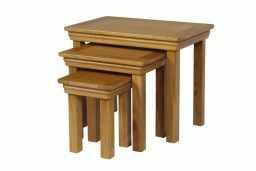 Farmhouse Oak Nest of 3 Tables - Larger than average size. 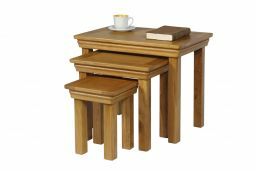 The Farmhouse Country Oak Nest of Tables consists of three different sized tables which tuck away nearly when not in use. The nest of tables are manufactured from sustainable American Oak and is finished with a hard wearing oiled wax which brings out the natural beauty of the American oak. The nest of tables is also manufactured with the farmhouse edging detailing to match our farmhouse bedroom furniture range, coffee tables and tv units. 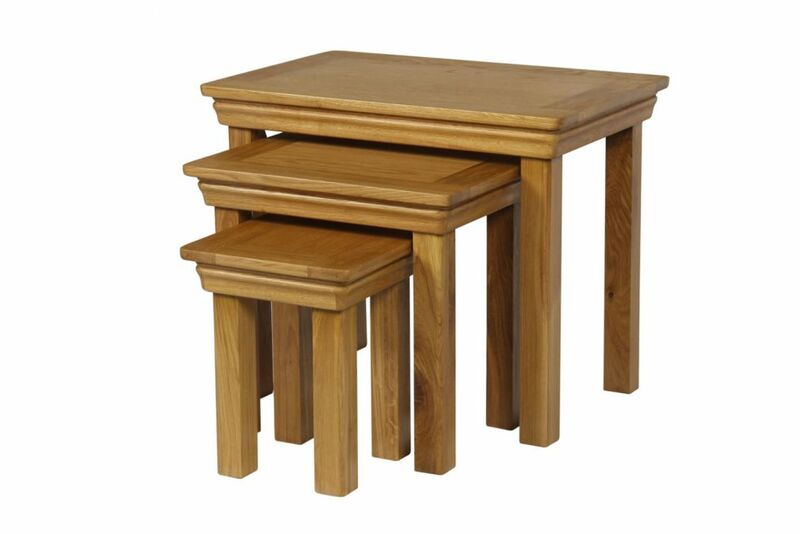 This nest of tables is manufactured as part of our Farmhouse Country Oak Range. Delivered fully assembled and ready to use. Very please with these nest of tables. Great quality. The delivery service Top Furniture was outstanding! Packed extremely well, driver and delivery very good no problems whatsoever, and the item is lovely really pleased with it.